Fire Station No. 2 is a new single-story, 12,775 s.f. station to serve the newly annexed Brookline Area. This building was designed with the updated architecture of Station No. 1 in mind, to maintain a continuity between the Stations, through use of similar materials at both locations. 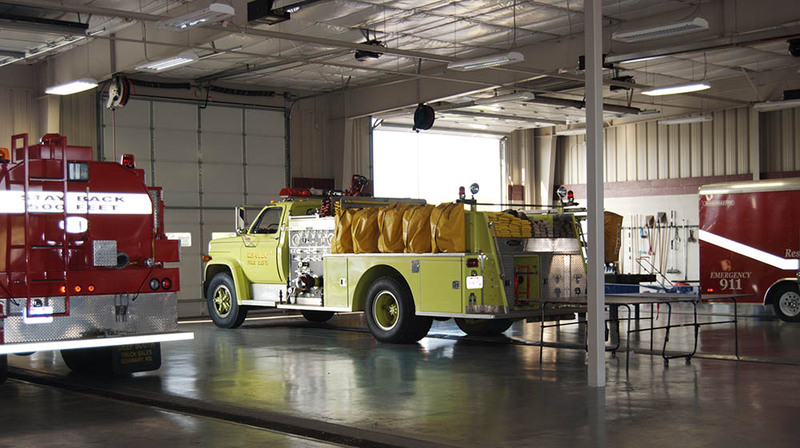 This station consists of a 3-bay drive-thru apparatus structure, support facilities, administrative offices and living quarters, day room, full kitchen, as well as a Community Room available for area organizations. The Republic Fire Department also incorporated into the building a police substation off the main entrance. The location of this building provides a high-profile view from all sides, which directs attention to not only the front facade, but the rear and side elevations as well.